Scientists from the Microbiology Department of the Faculty of Biology of the Lomonosov Moscow State University have discovered a new strain of lactic acid bacteria (LAB) that could be promising as a biopreservative for food and as a probiotic. The research results have been presented at the First Black Sea Association of Food Science and Technology Congress (December, 1-2). According to the World Health Organization definition, probiotics are beneficial bacteria active against pathogenic microorganisms and providing normal functioning of the gastrointestinal tract microbiota, as well as other supporting organism functions. Probiotic microorganisms could be added as an ingredient to food products, drugs and food additives. Certain strains of lactic acid bacteria and bifidobacteria are widely used as probiotics. Lactic acid bacteria, isolated from natural fermented milk products have particularly attracted the attention of microbiologists. The benefit of these bacteria for human health has been known for millennia. E. Metchnikoff also pointed out their revitalizing effect and characterized them as a tool for a struggle with premature senility. A peculiarity of lactococci is their ability to synthesize biologically active peptides or protein complexes, known as bacteriocins. One of the most famous bacteriocins is nisin, an antibiotic authorized for use as a food preservative under the E234 code. One of the most important properties of nisin is its activity against gram-positive bacteria, most of which are pathogenic for humans. However, nisin, along with other bacteriocins, effectively works only with respect to gram-positive bacteria. Moreover, pathogens have developed resistance to nisin. 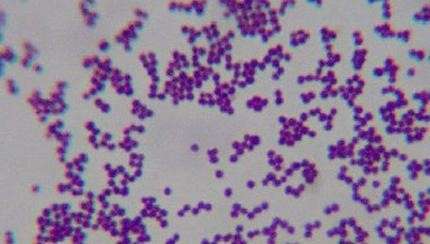 Researchers have isolated a strain, Lactococcuslactis subsp. lactis 194, from Buryat milk. This strain possesses a wide range of antimicrobial action. It's active not only against gram-positive, but also gram-negative bacteria, underlying bothpathogens and myxomycetes. Researchers have determined that the ability of lactococci to synthesize antimycotics (antifungal agents) is unique to lactic acid bacteria of this genus. The research results have been published in the Journal of Microbial & Biochemical Technology. Researcher Lydia Stoyanova says, "A comparative ecological study of lactococcus strains, isolated from different ecological-geographical zones, has observed their certain adaptation to external factors of the environment. Buryatia and the Lake Baikal region is a unique ecological area, which influences flora and fauna of our country." Studies of antibiotic complexes have determined that Lactococcuslactis subsp. lactis 194 strain forms a blend of biologically active agents of different structural classes. Stoyanova says, "One of these components is a nisin-like peptide whose structure and biological properties are similar to that ones of an expensive drug, Nisaplin. Among the others, one could name a bacteriocin efficiently working against gram-negative bacteria, and an alkylaromatic ketone with antifungal effect. They are unique and absent in the BNPD computer database of biologically active agents."